A young man died in a car crash in Queens, NYC Saturday around 12:45 am. The 21 year old man whose identity wasn’t released lost control of his vehicle while driving on Union Turnpike in Forest Hills near Woodhaven Boulevard. 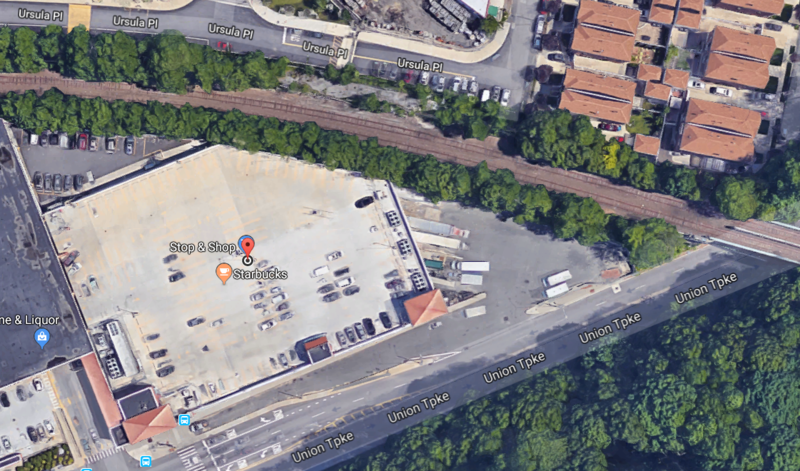 He hit a divider near the Stop & Shop supermarket and slammed into an edge of the supermarket’s loading dock (see picture from Google Map). His car burst on fire. By the time the emergency crew responded to the accident it was already too late. The victim was rushed to the hospital but he couldn’t be saved.